H. and I went to the MOMA several months ago. It feels like a mall, he cautioned, a cynical assessment that turned out to be true. I don’t like malls, and I didn’t like the experience of the MOMA that day. 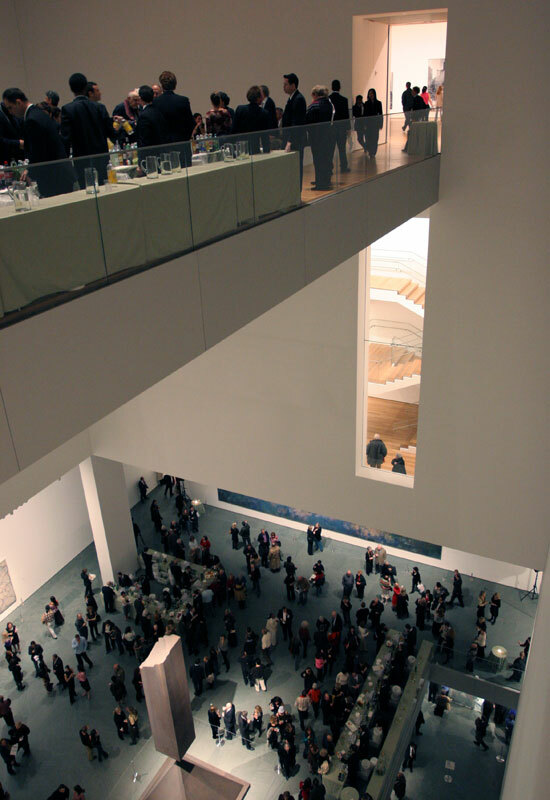 I found myself wanting to maximize the experience, judge the work, mark my progress as I walked through the galleries from the top floor down. It was an exercise in analysis rather than an experience in the realm of the senses. What is a gallery for, we could ask. A repository of things deemed great with hours during which people may go to admire and inspect them? Or a sanctuary in which people confront and are transformed by the minds and work of great artists? In his essay Laissez faire Aesthetics Jed Perl makes a case that our museums and galleries – and the art in them – are repositories, not sanctuaries. He describes our art as undisciplined, unimaginative, lacking conviction, contextless, questioning, incomplete, a spectacle, uncertain, disappointing and confusing. All this comes, he says, from laissez faire: the belief that if you leave it alone it will turn out better. So perhaps we could turn our repository galleries into sanctuaries by putting a nail in the laissez-faire coffin. Drop into the galleries for an afternoon and you will probably find yourself amused. I do. But when I go back to the galleries week after week and month after month, I find that my impressions become increasingly unstable. I feel uneasy. And I know that I am not alone. Although gallery goers are stirred by contemporary art and museumgoers are having extraordinary experiences, there is a widespread feeling that nothing really adds up—either for the artists or for the audience. No matter how eye-filling the encounters that people are having with works of art, these experiences can end up somehow unsatisfactory, stripped of context and implication. 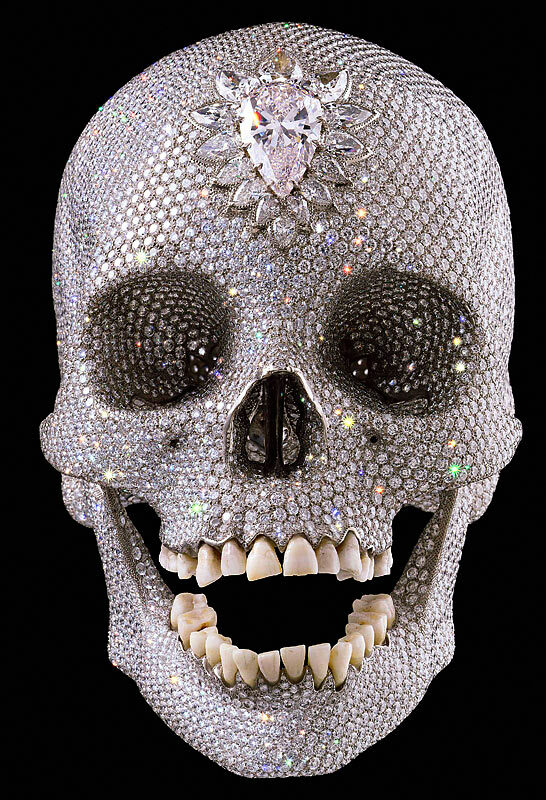 For inveterate gallerygoers the art world has come to resemble a puzzle to which nobody really has any solution. And why is there no solution? There is no solution because too many of the pieces are missing. The shared assumptions about the nature of art that ought to bind together our variegated experiences are nowhere to be found. Look behind the art world’s glittering collage of a façade and you find a pervasive uncertainty, a culture adrift in sour disenchantment. There is so much disappointment and confusion around the very idea of art that even when the art does not disappoint, people find themselves backing away from the experiences they have. 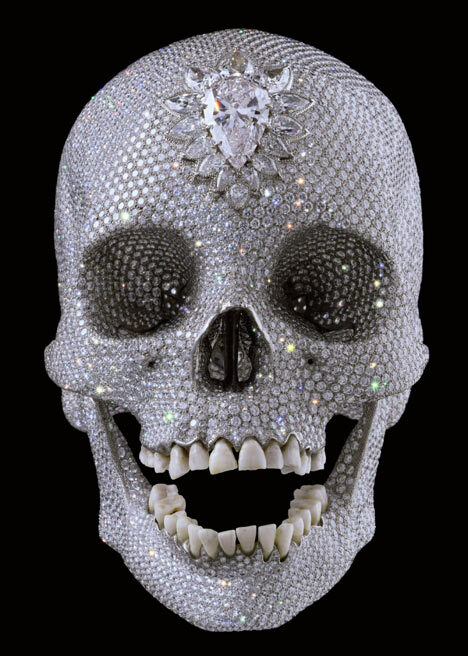 What laissez-faire aesthetics has left us with—in the museums, the galleries, the art schools, and the art magazines—is a weakening of conviction, an unwillingness to ever take a stand, a refusal to champion, or even surrender to, any first principle. More than anything else, what laissez-faire aesthetics threatens, with its insistence that anything goes, is the disciplined imagination without which an artist is rudderless, a wanderer in the wilderness. When things aren’t working we get busy solving problems that most people didn’t even know existed. For example, think of all the things that aren’t working for people in this age of debt and crisis and no jobs. Now recall how we expend vast creative resources to make gadgets, which are lovely, but which don’t really alter the general landscape that much. Now understand how these trends – the rise of gadgets and the decline of life – are linked. 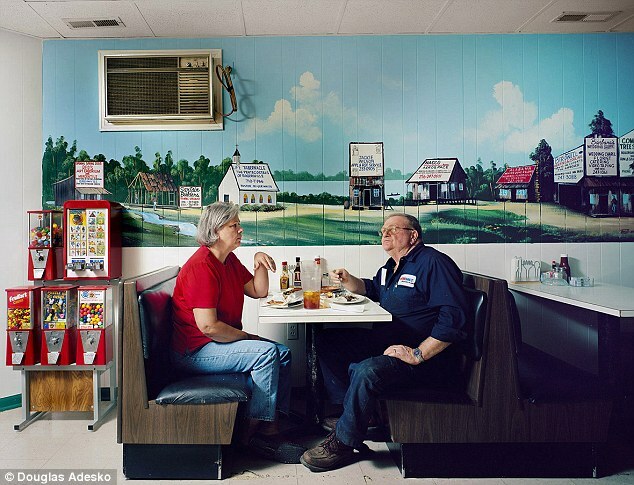 We think solitude is discipline or punishment – go and sit in the corner! Author Freya Stark says it is pleasant and ordinary and that, because we have it mixed up, we bring trouble on ourselves. So, believe it is pleasant and go into yourself. 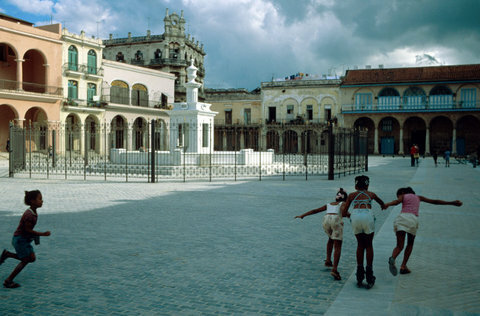 HAVANA—Children play in the Plaza Vieja, 1998. Over the past 50 years children in the western world – at least – have seen their time allotted for play significantly reduced by marmy homework scolds and, in parallel, have suffered increasingly from neuroses like anxiety and depression: there is a link argues Peter Gray in his article The Play Deficit (which you can read – linked below). Gray lays out further deleterious effects from lack of play some of which I highlight in the excerpts pulled below, including lack of empathy, bullying, passivity and fear, unfocused anger etc. He describes how extant hunter gatherer groups who allow their children to play nearly exclusive of any other activity from the ages of four to 19 develop egalitarian, mutually beneficial tribes. I could never argue for playing until the age of 19; the thing that freed me most in my life was – and is – education: reading, studying, writing. But still, play is waning and the kids are unhappy and we should do something about it. I don’t want to over-idealize children. Not all children learn these lessons easily; bullies exist. But social play is by far the most effective venue for learning such lessons, and I suspect that children’s strong drive for such play came about, in evolution, primarily for that purpose. Anthropologists report an almost complete lack of bullying or domineering behaviour in hunter-gatherer bands. In fact, another label regularly used for such band societies is egalitarian societies. The bands have no chiefs, no hierarchical structure of authority; they share everything and co-operate intensively in order to survive; and they make decisions that affect the whole band through long discussions aimed at consensus. A major reason why they are able to do all that, I think, lies in the extraordinary amount of social play that they enjoy in childhood. The skills and values practiced in such play are precisely those that are essential to life in a hunter-gatherer band. Today you might survive without those skills and values, but, I think, not happily.